These dazed and confused Political Mullahs have no idea of International Politics, International Relations and Trade Relations when they miserably try to defend Pakistan and Pakistan's National Interest through Islamic Lense. Please go through the public statements issued by two Chiefs of Jamat-e-Islami and then read the details about Saudi-India Diplomatic and Trade Relations while keeping in mind the Rampant and Deviant Statements of Jamat-e-Islami Chiefs on Diplomatic Relations with Non-Muslim States. 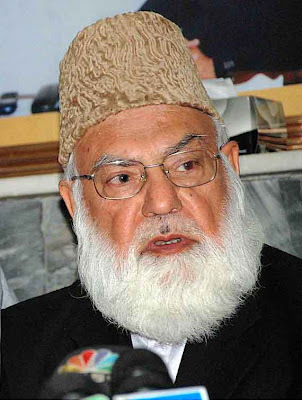 The JI Ameer stated this while addressing a large rally of party activists on The Mall on Sunday [Military action may lead to martial law, says Munawwar By Our Correspondent LAHORE Monday, May 11, 2009 - The News International http://thenews.jang.com.pk/daily_detail.asp?id=176929] Speaking on the occasion, the JI Ameer said Pakistan at the moment was facing three enemies in form of US, Israel and India which were the centre of evils. 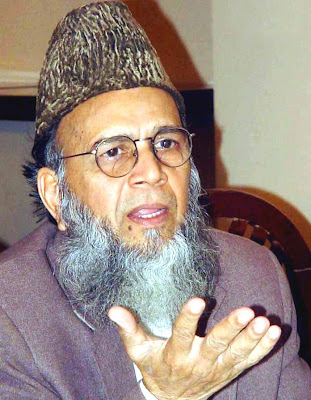 Terming India a state full of conflicts, Munawwar said “India was the name of contradiction and conflict.” The JI Ameer stressed that focus should be made on the eastern border of the countries and a strict check must be kept on the evil designs of India. “Our army should concentrate on the eastern borders of the country”, said the JI Ameer. New Delhi, January 21-26, 2006. 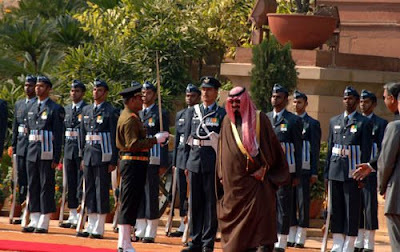 Custodian of the Two Holy Mosques King Abdullah bin Abdulaziz is currently on a state visit to India, the first such visit by a Saudi king in more than 50 years. The visit aims to expand energy cooperation and trade relations with India, one of Asia’s fastest growing economies. 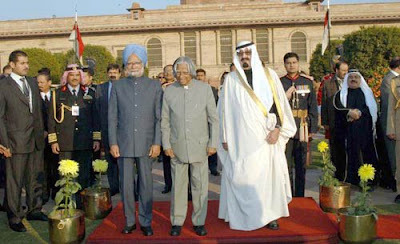 Indian Prime Minister Manmohan Singh broke protocol by personally receiving King Abdullah at the airport January 22, a sign of how much importance India attaches to the royal visit, the Arab News reported. 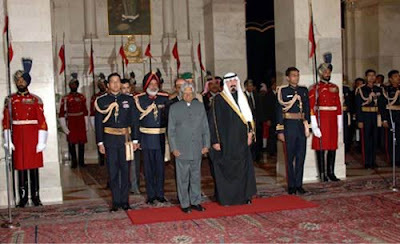 King Abdullah was also the guest of honor at India’s Republic Day celebrations in New Delhi today. King Abdullah and the Prime Minister held official talks yesterday after a ceremonial reception at the presidential palace, which included a 21-gun salute. King Abdullah also expressed the hope that India would continue its supporting international efforts to achieve a fair and comprehensive resolution to the Israeli-Palestinian conflict. Speaking to Saudi reporters in New Delhi Monday, Indian Minister of State for External Affairs E. Ahamed described King Abdullah’s visit as “important and historic.” He said India attached great importance to the visit, which would further strengthen longstanding relations between India and Saudi Arabia, the Arab News reported. Oil Minister Mani Shankar Aiyar said that India would extend an offer to Saudi Aramco to collaborate on a Hindustan Petroleum refinery project in Visakhapatnam in India’s southern Andhra Pradesh region. Aiyar also said he hopes to discuss bilateral issues with Saudi Oil Minister Ali Al-Naimi, who is part of King Abdullah’s delegation. “The issue of hydrocarbon cooperation is also a component of bilateral talks that are going to be held between Prime Minister Manmohan Singh and the Saudi king,” Aiyar said, as quoted in the Arab News. “So far as the oil component of our energy security is concerned, we have a strong assurance from Saudi Arabia that any incremental requirement will be met by them,” he said. Aiyar also said that a 26 percent dependence on Saudi Arabia is optimal and that now there is a need to diversify oil sources. Saudi Arabia accounts for nearly a quarter of India’s total oil imports, which amount to around 1.9 million barrels per day. In an interview with India’s NDTV channel over the weekend, King Abdullah discussed bilateral relations between the two countries, as well as a number of regional and international issues of common interest, including energy and terrorism. The King underscored the friendly relations between Saudi Arabia and India, and said that he hopes India and Pakistan resolve their differences peacefully. Everything can be achieved through dialogue, he said. He also said he believes India can play a role in the Organization of the Islamic Conference, possibly as an observer, like Russia. 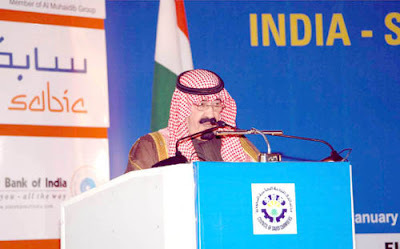 On oil, King Abdullah said that Saudi Arabia has the capability to meet the petroleum needs of India and other countries. He remarked that the Kingdom prefers lower oil prices because higher prices are not in the interest of developing countries. In the interview, King Abdullah also said that Saudi Arabia’s friendly relations with China and India would not affect its good relations with the United States, which has been a friend of the Kingdom for over 60 years. In addition, he stressed Saudi Arabia’s staunch opposition to terrorism. From January 1991 to 2004, Government has approved 26,588 foreign collaboration (technical & financial) proposals with a corresponding foreign direct investment of Rs. 2,497.18 crore (US $ 67.15) billion and Cumulative inflows of FDI during 1991-2004 (up to November) is Rs. 131,387 Crore (US $ 32.15) billion. The tables given below indicate the year-wise figures of foreign Investment approved with Saudi Arabian companies since 1991. The Industry-wise break-up of foreign direct investment and technical collaboration approved for Saudi Arabian companies during 01.08.1991 to 30.11.2004 is at Annex. I. Details of FDI cases approved for Saudi Arabia during 01.08.1991 to 30.11.2004 is at Annex-II. Source: Directorate General of Foreign Trade, Ministry of Commerce & Industry,Government of India.